So what is a great example of a sponsorship activation done well? Well, a good example would be my favourite all time activation! In my humble opinion (and yes I am biased), out of all the marketing tools in the kit bag, there is only one that can bring everything together and turbo-charge the performance of a brand – sponsorship. However, this is only true when it is done well. People from Australia will know it well. This activation had the nation talking, brought a brand back from the dead and sent sales sky-rocketing. In fact it went so well they had to stop doing it! I am of course talking about The Boony Doll. 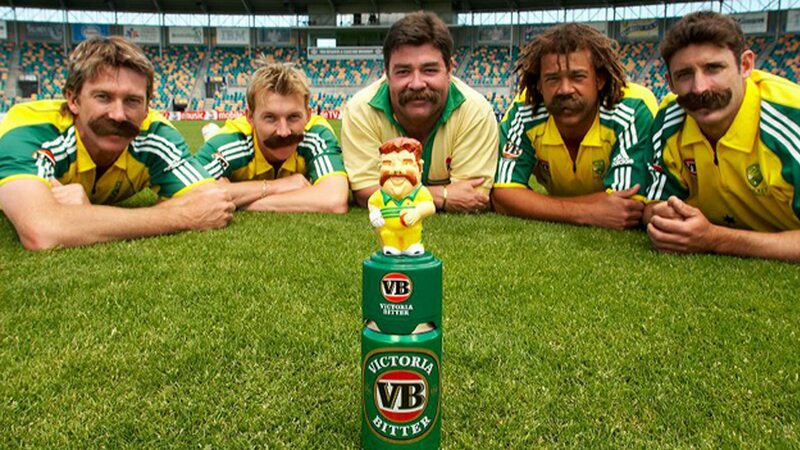 For my overseas friends (well, maybe no need for those from cricket nations such as England, NZ, South Africa, India etc), David Boon was the opening batsmen for the Australian cricket team for over a decade between the mid-eighties to the mid-nineties. “Boony”, as he is known, is a cult figure for a number of reasons. Wikipedia rightly notes that he is “Known for his portly figure and distinctive moustache”. However, most importantly, he was the embodiment of the everyday bloke and living proof that you didn’t need to be superhuman to become a super star in cricket. He loved a beer (rumours of 52 cans on the trip to London are Australian folklore), he loved a laugh, he loved cricket and we all loved him. So, in 2007, when Carlton United Breweries needed a strategy to lift the flagging sales of Victoria Bitter (VB), Australia’s biggest selling beer brand, they turned to Boony to help. The concept was brilliantly simple (as most of the good ones are) – purchase two cartons of VB and you got a Boony Doll. The doll would then come to life and start speaking to you during Channel 9’s coverage of cricket that summer. He would say things like “Get me a Beer”, “How’re ya goin Knackers” and “Crikey, it’s hot”. Real simple stuff but people loved it. It enhanced the consumer’s experience and became a talking point at BBQs across the nation. It became the summer’s must have cricket watching accessory. The results were phenomenal. VB gained a massive bounce in sales; the biggest in over a decade. It spawned another two years of dolls – the Beefy Doll (Ian Botham) and The Warnie Doll (Shane Warne). All marketing, sales and promotions centred on the sponsorship. Boony brought together cricket, VB and the TV broadcast in an engaging way. Boony was 100% on target. Boony was 100% on brand. Unfortunately, it was discontinued because of concerns about binge drinking, which, if I am to be honest, is a fair point, but it is also is a huge indicator as to how successful the campaign was. The numbers around the success of the sponsorship activation and phenomenal. Over 250,000 dolls sold out in less than one week. That’s half a million cases of beer! Over 900 media articles were logged from newspapers, TV and radio shows around Australia. One doll sold for more than $200 on eBay! I haven’t seen a sponsorship campaign as successful since. Have you? I would love to hear other people’s favourites.